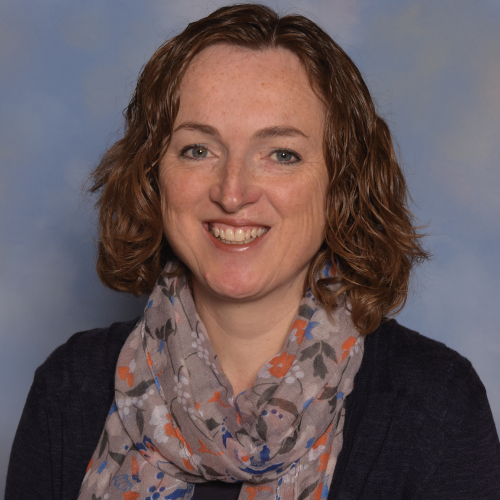 I am delighted to be able to introduce myself to you as the Headteacher of Branfil Primary School. I joined the school in September 2016 and I was given a really warm welcome by the whole school community. It was immediately evident that pupils, parents/carers, staff and governors are all very proud to be part of Branfil, rightly so in my opinion. Our school believes in developing the whole child so, as well as believing that each child is capable of academic success, we also provide a wide variety of opportunities for children to develop their personal, social, physical and creative skills. The atmosphere in school is purposeful and focused with children being keen to learn and staff supporting their progress and development. Our pupils are kind and caring towards one another, demonstrating our Golden Rule: At Branfil we respect ourselves, each other and our environment. Visitors regularly comment on the positive ethos that is evident as you walk around the school and the confidence with which children talk about their learning. We are lucky to have a stunning new building at the rear of the traditional older building so we now accommodate three forms of entry across the school. There are lots of specialist teaching spaces available: 3 halls, including a studio; specialist teaching rooms for art, music and computing; small group rooms for intervention work with individuals and groups of children; fiction and non- fiction libraries (currently being redeveloped with help from our thriving PTA); sports court and field. At Branfil we know that building strong relationships with parents and carers is vital to ensure every child is successful whilst they are with us. We ensure that staff are available to talk to parents and carers quickly, when the need arises, so that small issues can be dealt with before they become serious issues. We genuinely welcome feedback about what we are doing well and where we can improve further. We believe that Branfil is a fantastic environment in which children thrive. Please come and visit us to see for yourself! Branfil Primary School is committed to safeguarding and promoting the welfare of children and expects all staff and volunteers to share this commitment.